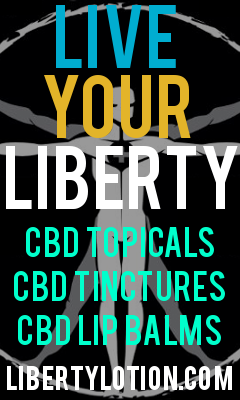 I am reviewing Liberty Lixir High CBD Tincture for Chronic Illness Bloggers. This is a phenomenal product! You MUST try CBD (I recommend both high CBD & full-spectrum CBD oil) if you are struggling with pain, fatigue, or chronic health issues. You might be wondering: what is CBD? Is is legal? Is it safe? To me, the question you should be asking yourself is have I tried everything I can to feel better? Am I missing anything? Perhaps you have wondered about CBD for pain relief. Perhaps you have explored using hemp or marijuana products to improve your health or well-being. A game-changing product, with life-altering and stabilizing effects on my body. It reduced my pain and inflammation levels, and improved my energy levels, while lowering my stress levels. Whenever I take it, I feel more “stable” physically, and more resilient to stress. It also helps me sleep more deeply. I have found CBD to help my body remarkable and consistently feel better. 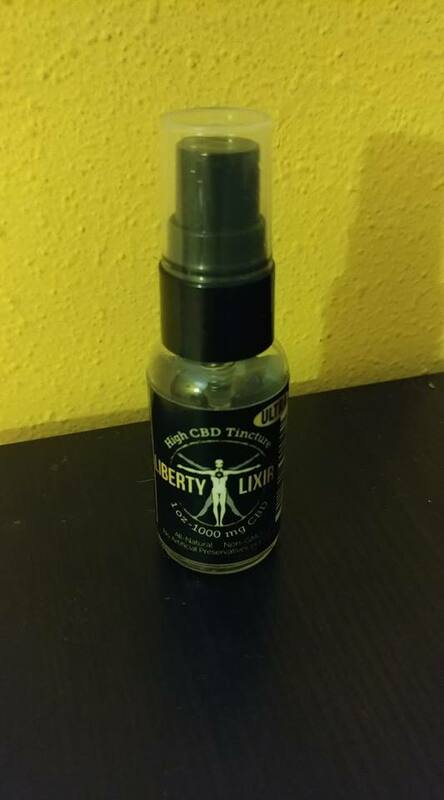 I love the Liberty Lixir High CBD Tincture because it seems to be the exact right amount of CBD in a proprietary formula that my body loves. You take it underneath your tongue, so you bypass the liver. This works great for me, as my liver does not process many substances well. I use this product to get and stay in balance. It is a no-brainer and a game-changer for my health and well-being. I highly recommend it! A must try. CBD is a non-psychoactive cannabinoid commonly found in hemp. It has been indicated by anecdotal evidence and numerous scientific studies that CBD may provide significant health benefits across a broad spectrum of potential applications. It has been indicated that CBD may be a viable treatment for anxiety, chronic pain, stress, schizophrenia, dementia, neuralgia, alzheimers, strokes, arthritis, migraines, parkinsons, and essentially any and every ailment under the sun, especially those which have a direct relationship to inflammation, since the evidence suggests that CBD is first and foremost a potent anti-inflammatory. In addition to its anti-inflammatory properties, recent scientific research has indicated that CBD may have profound immunoregulatory and neuroprotective effects. It appears that CBD not only helps the body repair and recover from illnesses, but also boosts health in general and protects against disease. For more information on CBD, please view this article. CBD, or Cannabidiol, has exploded onto the scene in the last few years as a heal-all substance that purportedly cures disease, reduces pain, and generally increases quality of life all across the board. But what is CBD, and is it just the latest fad, or is it really something of substance that will be a healing staple for years to come? There is ample evidence to support the latter position. CBD is a cannabinoid, a term which, since the 1940s, has been used to designate isolated compounds found within the Cannabis Sativa plant. However, recent research suggests that the general chemical structure common to cannabinoids is not limited to Cannabis Sativa, and substances found in other plants which resemble cannabinoids are called cannabimimetics1, a term that designates a substance which emulates or mimics the effects and/or structure of a cannabinoid. On top of that, medical science has recognized for decades now that there are cannabinoids endogenous to the human body, which are called endocannabinoids2. These endocannabinoids native to the human body comprise a system called the endocannabinoid system, or ECS for short. Scientific research has revealed that the proper functioning of the ECS is vital to health and well-being as it promotes homeostasis in the body, which is a fancy word for balance. The endocannabinoid system keeps the body in balance and the research suggests that CBD boosts the functionality of the endocannabinoid system as it performs this endless, thankless task which keeps us healthy and prevents disease. Countless scientific studies have supported the claim that CBD acts as a potent anti-inflammatory3, which means that it reduces tissue inflammation throughout the body and helps this tissue to revert to its natural, uninflamed state. All of us are familiar with one type of inflammation4, acute inflammation. This is the kind of inflammation that is experienced, for instance, when you stub your toe and it gets big and red, or when you skin your knee and the surrounding area gets red and puffy. This is the body’s natural response to injury and subsides after the healing process gets underway. But there’s another form of inflammation which affects those who suffer from it in a much more intense and debilitating way; chronic inflammation5. Scientific research has linked chronic inflammation to everything from rheumatoid arthritis, to schizophrenia6, to depression, to neuralgia, and everything in between. In general, most people are suffering from some form or another of chronic inflammation; in fact, the research suggests that inflammation is the root cause of almost every if not every single ailment or disease which affects the human body and mind. Meaning, that if it is true that CBD has as potent of an effect on inflammation as the research suggests, the implications for general health and well-being could be astonishing. According to the research, not only is it possible that CBD treats disease by reducing inflammation7, but it also may prevent disease and promote health by bolstering the immune system8. Not only that, but recent studies also support the claim that CBD may have neuroprotective9 effects, which means that it may aid in the recovery of persons with neurodegenerative ailments10. While the results are still out, so to speak, since the FDA has not yet acknowledged CBD as a legitimate medicine, the absolute avalanche of scientific study that has come forward in the last few years overwhelmingly supports the position that there is great therapeutic benefit to using CBD to treat and prevent chronic conditions as well as promote general health and well-being. Cannabis Sativa has been used, in one form or another, for thousands of years in various cultures as a healing tool. Modern research is finally shedding some empirical light as to why this may be the case. Tagged: cbd, CBD for fatigue, CBD for inflammation, CBD for stress, High CBD Tincture, what is CBD Oil?